The market has lost momentum, prices are trending down, and sentiment is terrible. Lots of people are writing about the many warning signs. Depending on your time horizon and strategy it might make sense to be tactically defensive from the beginning of September. 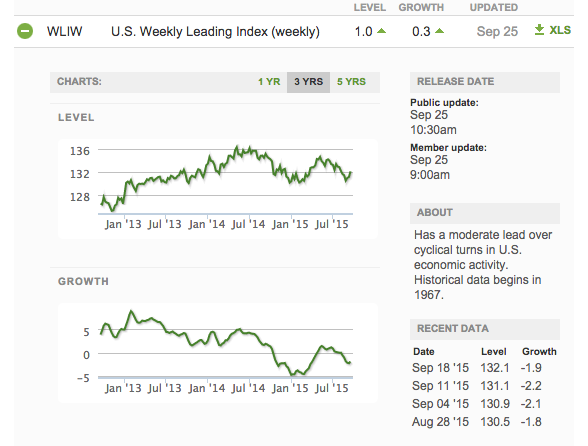 That said, I want to revisit the macro data points I find most useful to provide a counterbalance to the bearish flow. My opinion has always been that it’s futile to examine the micro movements of economic reports. These reports represent impossibly large numbers and are subject to smoothing, revision, etc. If you do anything more than squint at these charts and identify the trend, you’re doing too much. Sure, I overlook the subtle econo-hipster significance of these reports, and look less than sophisticated for it, but I think simple is superior. In order to streamline analysis and avoid too much conflicting data I divide my macro data into employment, housing, consumer sentiment, and economic growth. 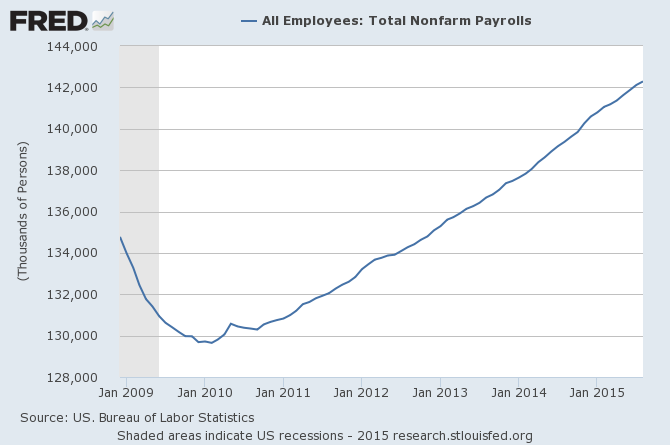 The trend in employment data since 2009 is still intact. Employment is solid and more people are being put to work. 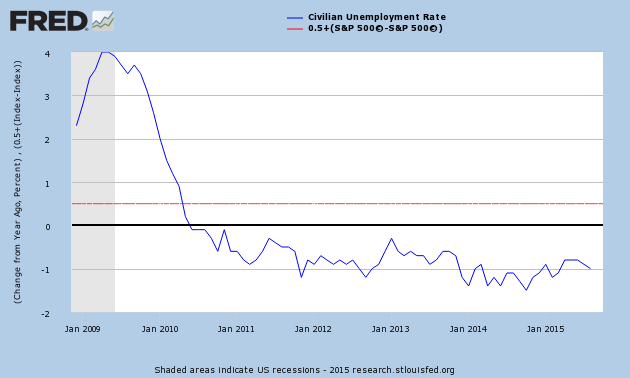 The red line above is the year-over-year change in the unemployment rate previously associated with recessions. I don’t want to complicate things too much, but the chart shows we’re still a long way away from the danger zone. As with all economic indicators, this can change fast. It looks like the trend is mostly higher. There was a large spike in the June report, and some mean reversion since. There are no lower lows. Many narratives can be used to explain the data. The most straightforward one is that capitalists (builders) tend to expand projects (apply for permits) when the economy is good and they feel there is a market for their products. Consumer feelings toward the market in relation to the direction of the market is my primary gauge of the “wall of worry” therefore, consumer sentiment a contrarian indicator. Bull markets don’t die without dragging the public along AND having them feeling good about it. When the market is rising, and the public hates it, it usually means more upside. Late 2014 consumer sentiment readings got high enough to meet the criteria for a full cycle, but it never got close to euphoria levels. It will read well over 100 by the time the bull market finally ends. The -5% level is my line in the sand. Anything lower than -5% is bad, but anything above is okay. We’re currently in the safe zone. Sure, the data is trending lower and this could be interpreted as a strike against the bull case. I use the WLEI as a binary signal, personally. 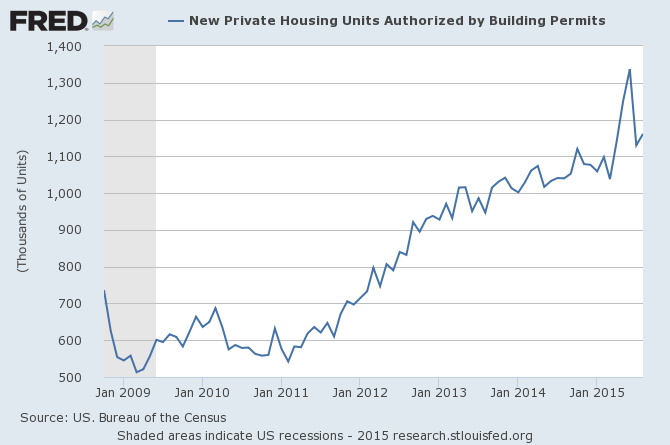 The data presented shows that most bullish underlying economic trends are still intact. I write this despite myself becoming more skeptical and tactically defensive as the market struggles. Very little outside of equity price action is flashing major warning signs, yet. Sometimes the dog wags the tail and sometimes the tail wags the dog. Meaning, sometimes negative equity values start being reflected in the economic data rather than the other way around. If no major catalysts show up I don’t think the primary trend (higher) is over and the market will resolve higher. Things change fast so be prepared to change your opinion should conditions warrant it.